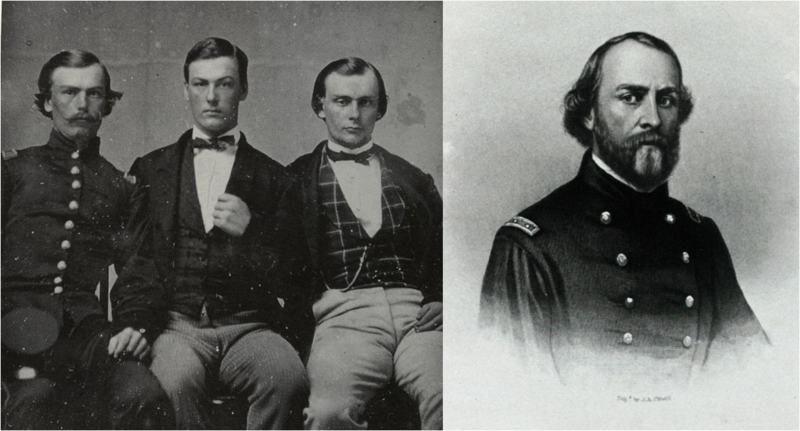 GPB- Georgia Stories "The March to the Sea"
GPB- Georgia Stories "Ande﻿rsonville Prison"
Above are the authors or subjects of the Socratic Seminar letters: On the left are the Branch brothers of Savannah, Georgia (John- left, Hamilton- middle, Sanford- right). 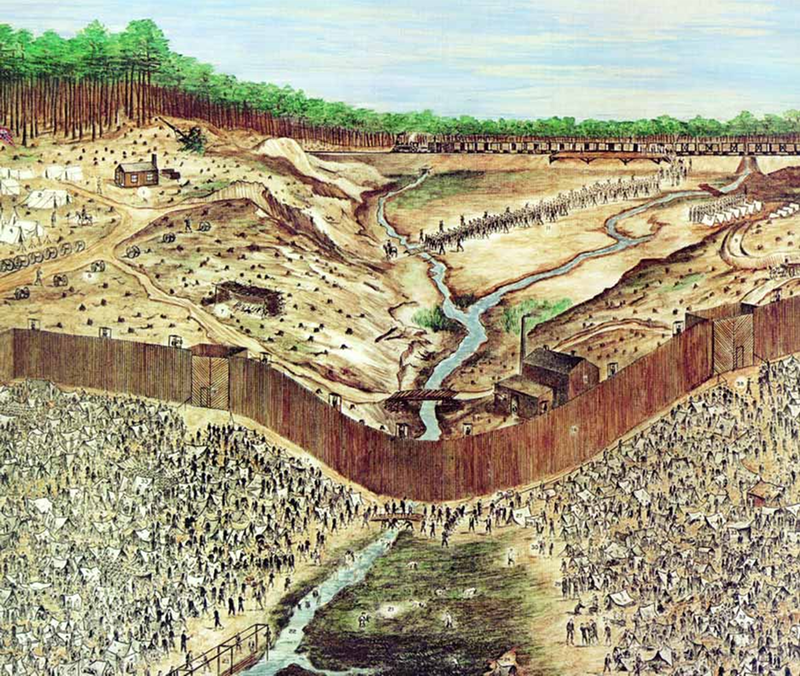 The Branch brothers were members of Company B "The Oglethorpe Light Infantry" of the 8th Georgia Volunteer Infantry Regiment. On the right is Sullivan Ballou of Smithfield, Rhode Island. Ballou was a Major in the 2nd Rhode Island Infantry Regiment. 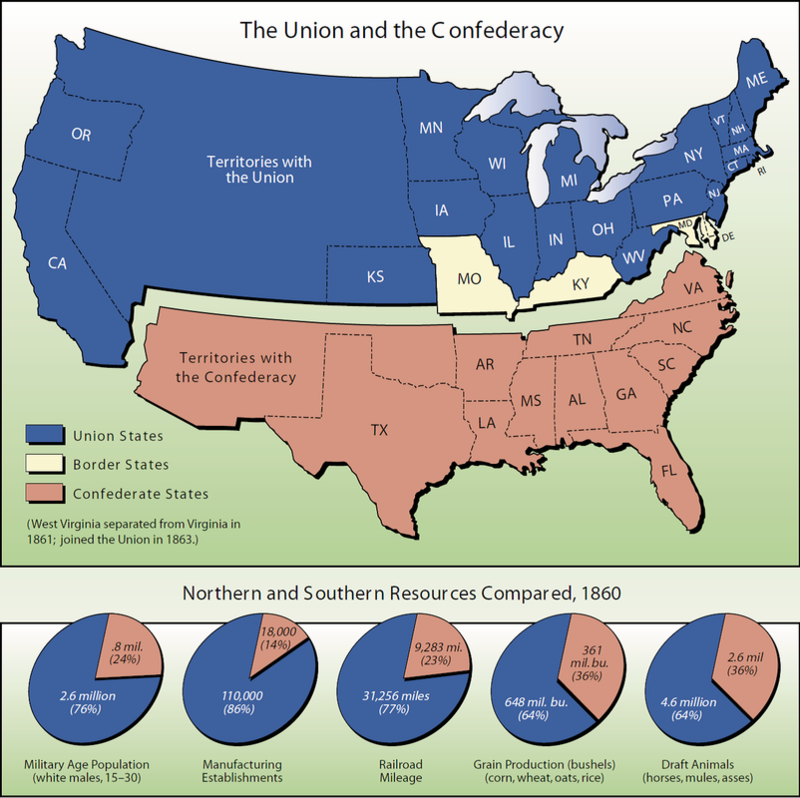 Images below show the four flags used by the Confederacy, not counting the unofficial Bonnie Blue Flag. • Battle Flag. The most familiar flag is the battle flag, which actually was supposed to be square rather than rectangular in shape. The battle flag had 13 stars—one for each of the 11 states that seceded, plus stars for the border states of Kentucky and Missouri. • Stars and Bars. 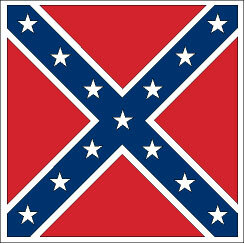 The stars and bars had two broad red bars, with a white bar in the middle, and a blue field with seven stars. 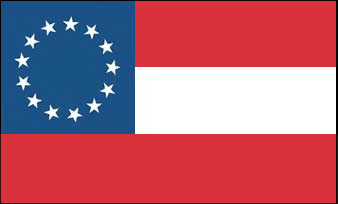 The flag initially had seven stars, one for each of the states—Georgia, South Carolina, Florida, Alabama,Mississippi, Louisiana, and Texas—that formed the Confederacy. 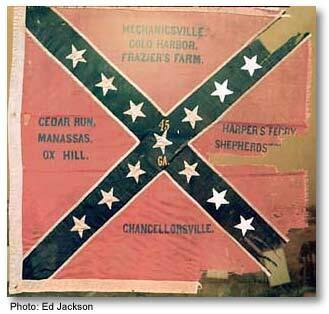 The flag was adopted as the Confederacy’s first national flag in March 1861 at Montgomery. Later, as other states joined, additional stars were added. • New national flags. 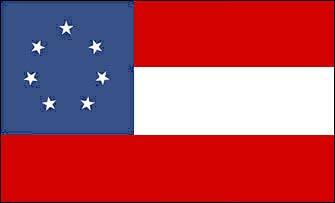 In 1863, concern that from a distance the Stars and Bars looked like the U.S. flag led the Confederate government to adopt a new national flag. The flag incorporate the battle flag in the upper left corner on a field of white. 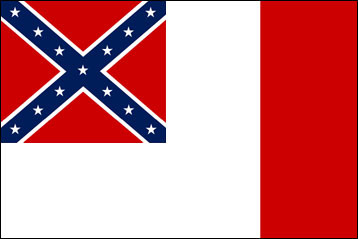 Apparently, when the flag hung limp, it looked like a flag of truce, so in 1865, a third national flag was adopted. 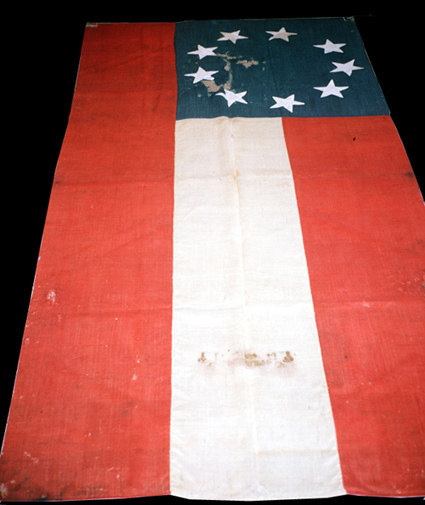 The length of the flag was reduced and a red band added to the end so it would not appear all white when hanging limp.